Author: Standiford, Les Set In . . .
John Deal has spent much of his adult life trying to rebuild the Miami construction firm that his late father ruined. When the possibility of a major project in post-normalized Cuba arises, he cant help but be intrigued. 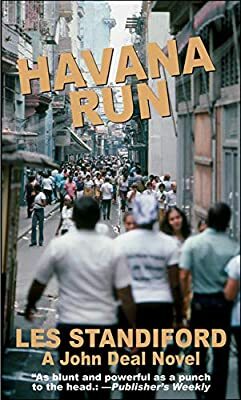 But Deal quickly learns that hes been lured to Havana for another, more dangerous purpose: to help a freedom-fighting group spring an American prisoner from a Castro jail. Of course, Deal wants nothing to do with ituntil he discovers who the prisoner is. That prisoner is also the holder of secrets, highly sensitive information that Deals own government thinks worth killing for. The next chapter in the edge-of-your-seat John Deal series.